Take one glance at the Continental Race King UST's tread pattern and you'll see that this tire's goal, first and foremost, is to roll fast. It comes as no surprise that Irina Kalentieva--riding for Topeak/Ergon--took the first Race King prototype to a spot on the podium at the 2007 UCI World Championships. Continental designed the Race King UST to excel in a wide variety of terrain, though this tire's short knobs will grip hard packed soils like glue. 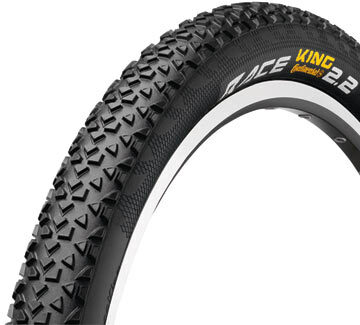 Unlike some other race tires, this King's low-profile tread pattern is mated to a large volume 330tpi casing--which will conform to even the most subtle trail irregularities--for fast-rolling, sure-footed handling. The closely spaced center knobs will roll quickly and efficiently while the closely spaced side knobs provide fantastic cornering traction, in addition to generous sidewall protection. 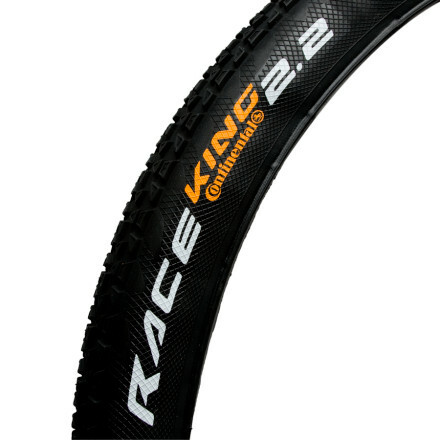 The Continental Race King UST tire is available in two sizes: 26 x 2.0 and 26 x 2.2in, which weigh in at a very reasonable 575g and 650g respectively. The UST version of the Race King is tubeless compatible with any UST rim, and can be used with most tubeless-ready rims and their corresponding sealing strip.Tubeless 101: The Why and the How Explained. I am reviewing this as an xc tire. Compared to Ignitores, Aspens, Nevegals, small block eights. I run the tires at 26 psi front and rear, body weigh 220. Trails are hard, rocky, rooty, and sandy. All in all very nice tire. The only time it will really let you down is in the mud, who wants to ride in the mud anyways? They seem to have good climbing traction, and solid cornering grip. They roll very fast, and are nice and wide. The side walls are very stiff, I have never gotten that oh no the tire is coming off the rim feeling. ( you know, that one). They have worn very well over the 500 or so miles of single track I have on them. Combined with stans I believe they are basically flat proof. As far as setup, I do not think it gets any easier. You could actually run these tires without sealant, the bead hooks well.They are very easy to set up. I have re mounted them several times, it has never taken more than 15 minutes. Very easy to mount with Stans. Very fast tyre with good sidewall resistance. 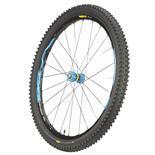 Great rear tyre for XC racing or just weekend riding having fun. The tyre is very easy to mount with Stans. Mine mounted first go and sealled immediately (lucky?). The tyre is holding up really well to rocky, sandy and prickly country and shows little sign of wear. I'm averaging about 100km a week. Havn't ridden in the wet yet but I'm not expecting it to be a great wet weather tyre as it wasn't built for that purpose. Combined with an X King 2.4 up front and this is a great handling fast combo. A little slippery when leaned in a steep angle in muddy turns. I have found this is a great, reliable tire for racing and traning on almost all kind of courses. 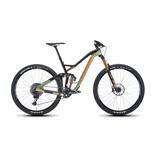 It´s been ridden on sharp rocks and in deep mud and still performs great. I am 82kg and ride these at 28psi, the sidewalls are solid enough. They roll faster than any tire I´ve tried, generally works fine in wet conditions, but are a little slippery when leaning over in muddy turns. On courses with no rocks, you may want to go for a lighter tire (it´s 680g per tire in 26 X 2.2 UST), but I prefer the extra safety of (hopefully) no flats. I had to give up mounting them myself (on crossmax SLR) and had to let the shop do it. Mine are filled with Stan´s and hold air really well. I´ve had trouble fitting Continental tires on Crossmax rims before (Twister supersonic). 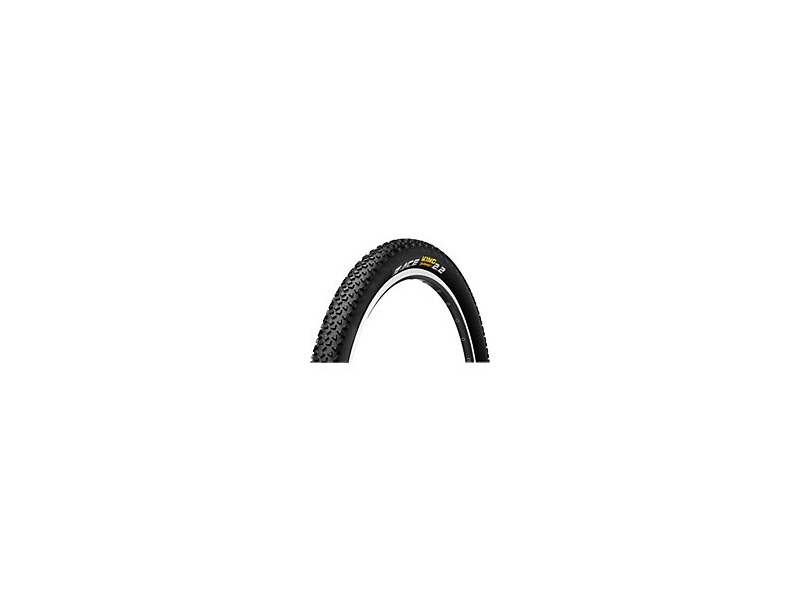 I would gladly recommend these tires if you´re not that interested in the lightest setup but rather would like a tire that gets you to the finish line (or back home) without any problems. Lightweight, fast feeling on climbs. Great traction on dry trails. THE RACE KING "PROTECTION" VERSION IS NOT THE SAME AS THE UST VERSION. I was told that the RK Protection was the same the UST by my LBS, but this is not so. 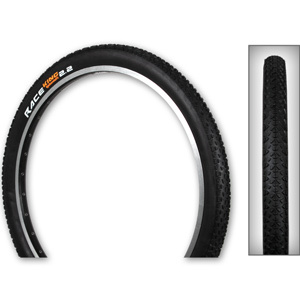 Other reviewers that had trouble setting RK's up as tubeless probably had the Protection version. The sidewalls oozed Stans for hours, and the tire did not hold air. Once I did some research and found out that the Protections were not the UST version I put a tube in it and I will hope for the best. A nice lightweight, grippy, fast rolling tire but it is a bit risky and difficult to set the Protection version up as tubeless. Be sure to get the UST version if you want tubeless. With a tube this tire is still light and very fast (I only used it on the back wheel). Time will tell if the "protection" works. I hope so! Great looking high volume tyre with very good grip amd wear but let down by weak casing and possibly manufacturing defects or reaction to sealant causing delamination. Big money for a tyre where teh casing can't outlast its tread. Light weight for UST Tire. 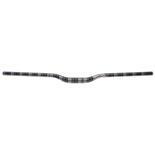 Very low rolling resistance. Fast tires. Very little rear wheel traction when climbing. Medium front wheel traction when taking corners. Weak sidewalls. Had one for 4 rides and had a nice cut on the sidewall. I'm running 30psi f/r. 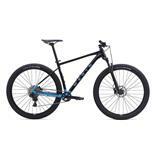 Having ridden UST wheels for the last 5+ years, first on my Titus Switchblade, and now on my Ibis Mojo SL, I can say, these tires do not have any grip for fast climbing. I would constantly slip on rocks, sand, dirt, or anything slightly lose under the tires. The front tire also does not grip very well, compared to other tires I've used. 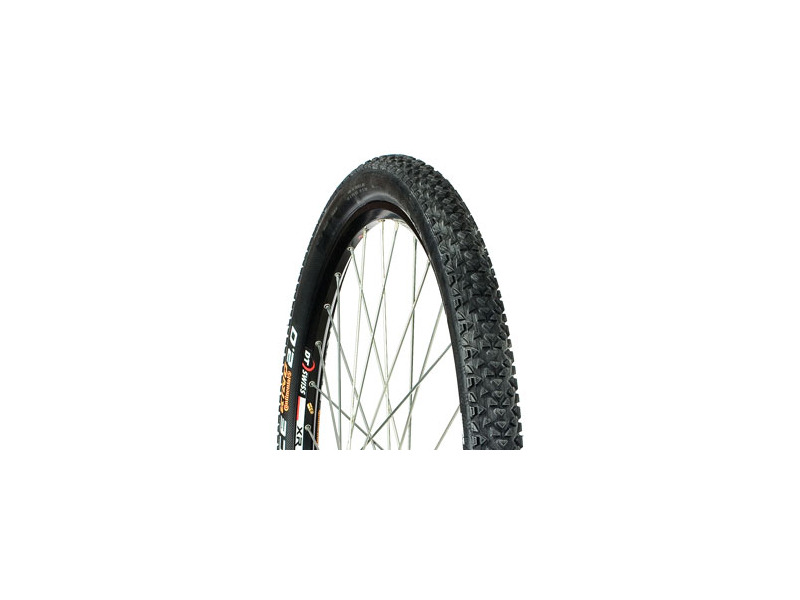 However, if you are riding hardpack dirt, w/ minimal hills, or a very clean xc course, these tires may work very well for you. 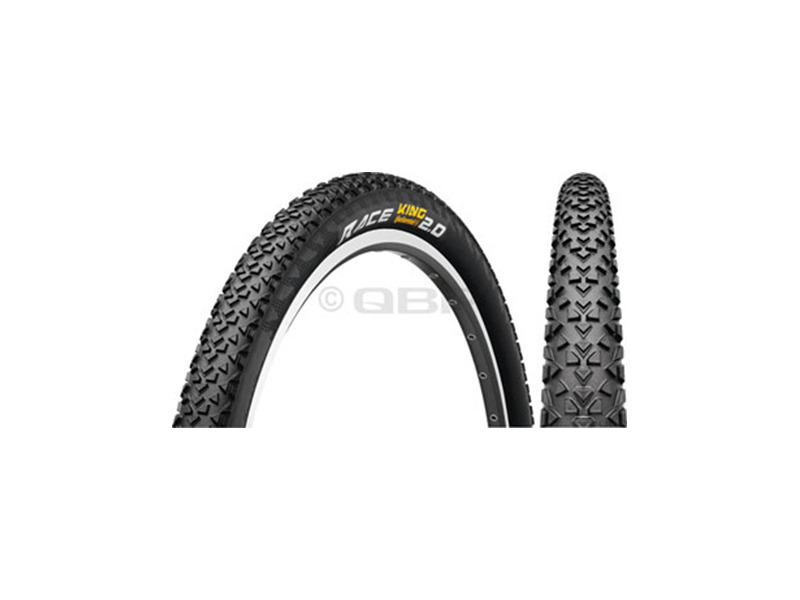 These are fast tires, w/ low rolling resistance, however, my riding style, and the trails I frequent, are a mix of XC/Trail, and some light AM riding. On technical trails, this tire was aweful, on hard packed, smooth fire roads, or very smooth single track, these tires flew. So for my type of riding, these tires were not the answer. I'm now using a WTB Wolverine 2.2 TCS, and I must say, It grips like glue on any condition trail I've currently ridden. Weight is a bit heavier, but, I would rather move forward, than slip and waste energy on those long, steep climbs. I've used a Continental MT King UST 2.4 on my Titus and it has been the perfect front tire, I may switch out my front tire after I wear the Race Kings out a bit more. Large volume and UST combination allow for low tire pressure (I run at 30psi front, 35psi rear). The rubber compound gets great traction, even in deep mud. Extremely low rolling resistance despite the traction level attainable by controlling your air pressure (higher for hardpack, lower for loose and wet). I would love if the low profile tread pattern extended further along the side walls of the tire to allow for a steeper lean angle. I raced last weekend in Grafenwohr, Germany (US Armend Forces Series) with these tires. The weather was very wet with terrain varying from loamy singletrack to deep grass, mud, and moss. these tires felt good form start to finish. I am quite the tire nut and always feel the need to attempt to improve my riding, and changing tires has been sort of a habit of mine. These Continental Race Kings will remain on my bike throughout the racing seasion regardless of the weather or terrain! Buy these tires, I recommend UST, even if you need to Stans up your no-UST wheels. They will not let you down! Everything from Micheline (race'r & grip'r 2.25 UST) to Schwalbe. Very weak/flimsy, almost impossible to get it to bead. put the tire on, took ages to bead, much harder then most UST and harder then most non UST i have run as tubeless. tire kept dropping pressure overnight before i even got it on the trails, tire went flat while riding a couple of times. finally got it to stop losing P before a 6hr race, raced, but started to drop P during the race. kept dropping P while sitting on my rack once i got it back home. I use 26x2.0 version, they are very light, lighter than anything I had included my 26x1.5 commuting tyre. frist time I can't pump them they leak like hell but soon I got it done using compressure at petrol station. 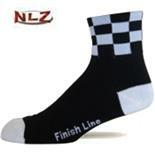 a product for purely racing, fast rolling but limited grab. need a bit more control on mountain.